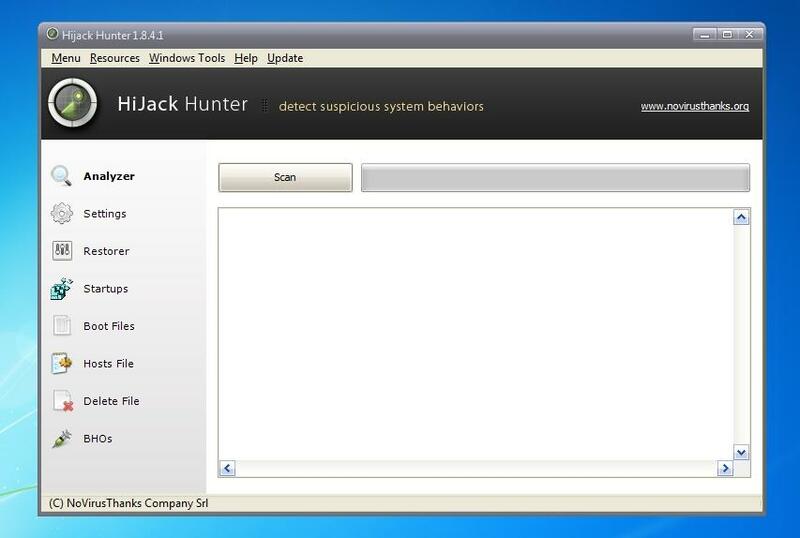 Hijack Hunter is an application that thoroughly scans your computer and displays all the gathered data in a comprehensive way. To help the users to detect suspicious system behaviors, this program shows all the needed information in a report file, taking care of all details, on running processes, registry startups keys, drivers installed, windows hijacks, browser helper objects and much more. Useful for forensic analysis and malware analysis, it creates a detailed report of key system areas, like registry startup entries, files created or modified in the last 30 days, active TCP connections, running processes, loaded DLL files, etc that can help in detecting potentially suspicious objects and malware. The usage is easy, just click the Scan button, it will generate a report in a text file on your desktop. A free alternative to the popular HijackThis. Scan your PC and display all the gathered data in a comprehensive way. The report created can help in identifying suspicious and malware files. Find hidden files, created and modified files, processes, and more. Yet another free alternative to the popular HijackThis application.